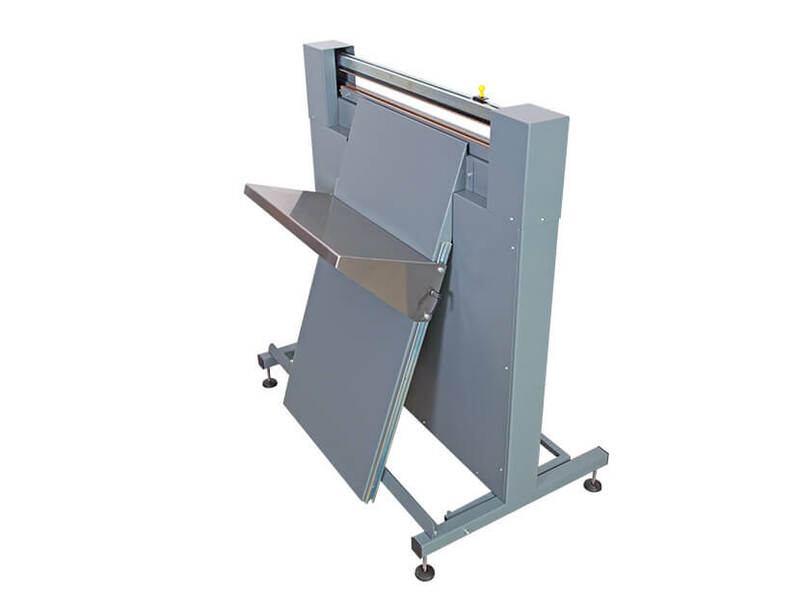 Heavy duty industrial bag sealers are designed to withstand demanding industrial use. Construction allows quick and easy maintenance to keep them in excellent operating condition at a low cost. Sturdy and precise construction, proven materials and components are a warranty for high quality seals. A wide variety of different needs can be covered with our comprehensive range. To take things a step further we design tailor made sealers to meet special demands in the best possible way. Sound indicator signals when sealing and cooling times are over and pedal can be released. Sealing and cooling time are set independently. Visual indicator signals when sealing time is over. One sealing wire is heated to seal film. PTFE (teflon) sealing support designed so it can be used from three sides (hence lasts three times longer) and thus keeping maintenance cost on lowest possible level. 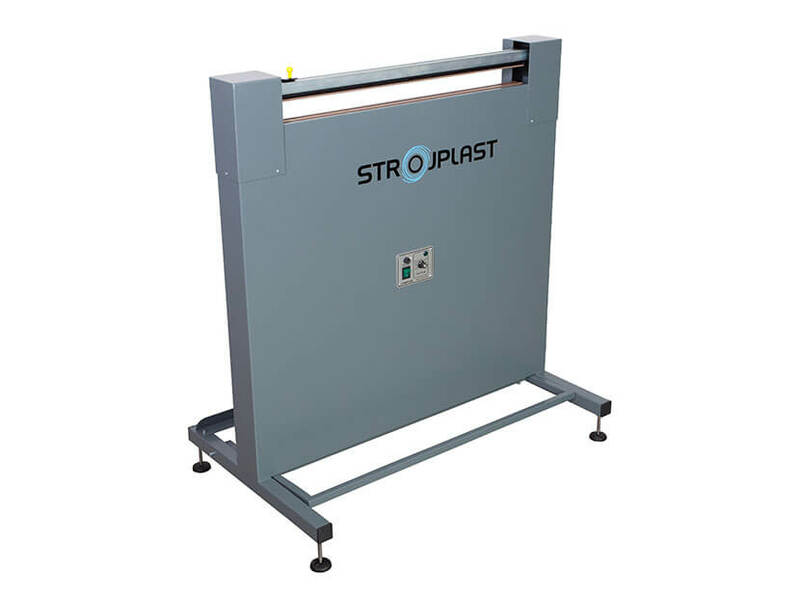 electro transformer with life time warranty– StrongHeart Sealers®. Controlled sealing function is available: sealing and cooling (dwell) time control which guarantees air tight seal. Additionally work with pedal is facilitated, because magnet supported holders replace foot when exercising pressure of the bar on the sealed material. Bi-active seal: two wires can be heated to enable sealing thicker film or laminated material. Two parallel seals for additional security of sealed goods. 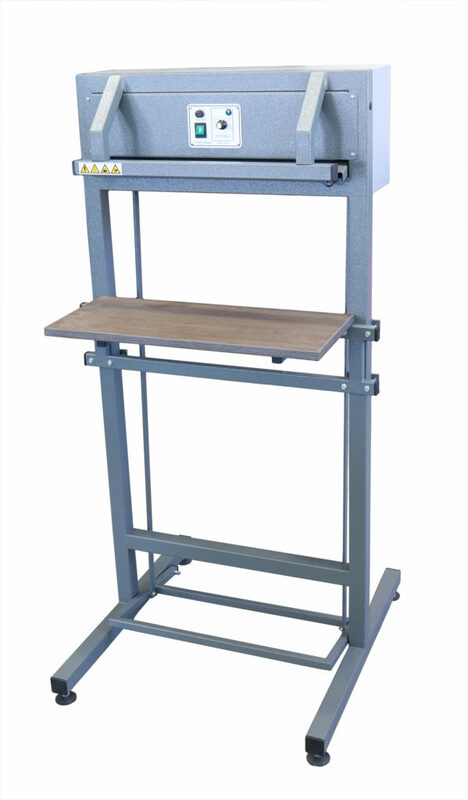 Sealers with sealing dimensions of up to 1600 mm can be constructed. Casters (wheels) can be installed upon request to facilitate moving of the sealer around the production location. 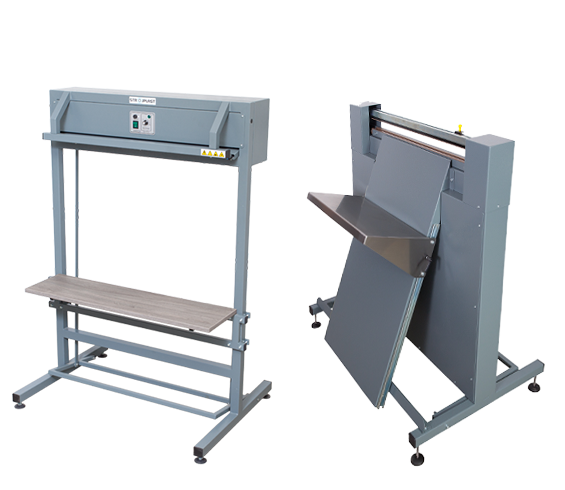 SVP-700 (left): a sealer designed to support heavy duty industrial production. 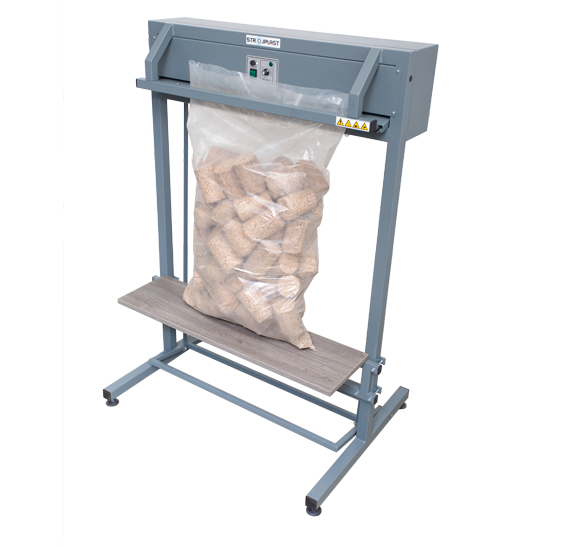 Compact construction allows sealing up to 20 kg heavy bags. 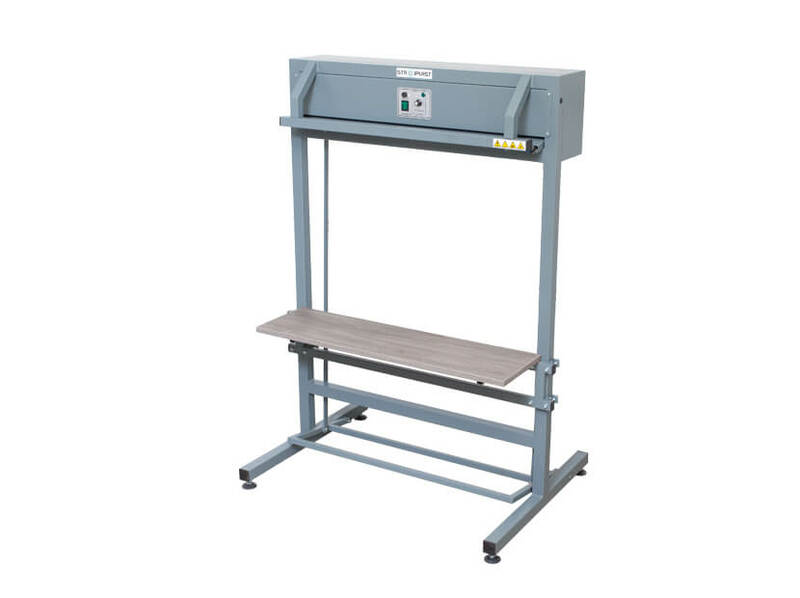 NSV-700-T (right): heat sealer with angled supporting table for unstable products. Sealing jaws move vertically. Two parallel seals are offered on foot operated impulse sealers as an option for additional security of sealed goods. 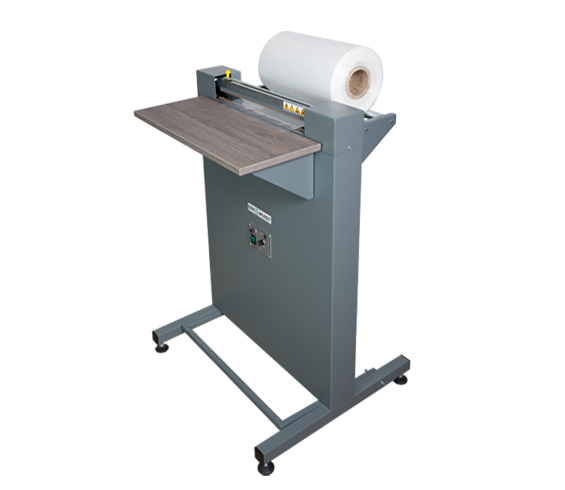 Foot operated bag making heat sealer NSV-400. 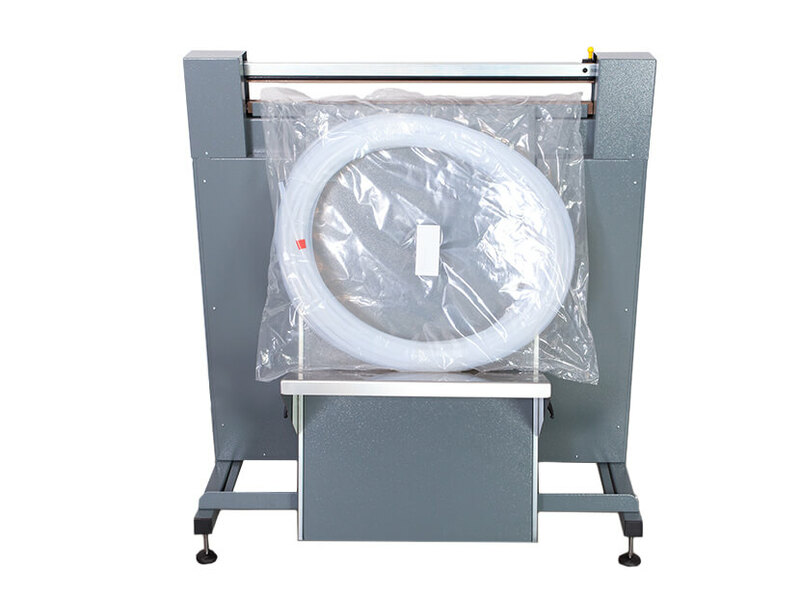 This family of sealers is designed for larger bags making and sealing. 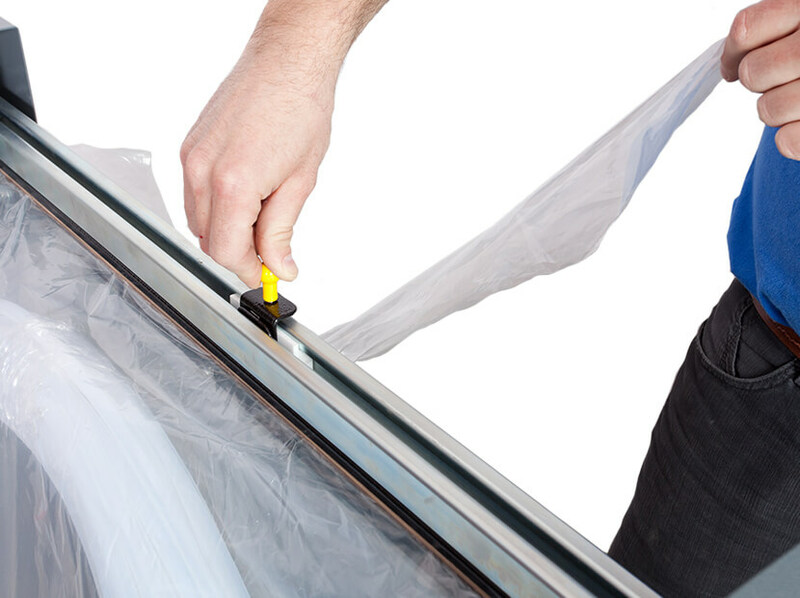 Bags are made from a sleeve film reel that is placed on the sealer. 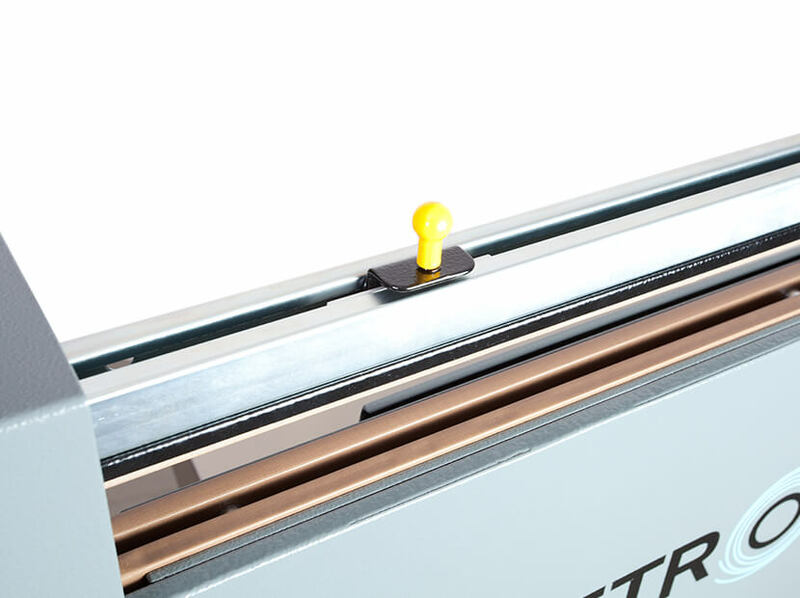 As a standard pointed twin blade cutter is integrated into bag makers. It enables film cutting from either side and from the middle as well which is especially convenient with thicker bags.